After being reviewed by teachers of the Northview Michigan public middle school system, it has been decided that copies of Jaycee Dugard’s memoir A Stolen Life will not be included in seventh-grade classroom libraries. 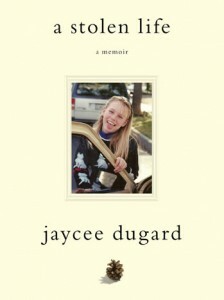 A New York Times bestselling autobiographical memoir, the book recounts Jaycee Dugard’s personal experiences as a victim of forced captivity and sexual abuse for 18 years in California. In early October, Crossroads Middle School received a complaint from a seventh-grade parent whose child chose the book for elective reading after finding it on the shelves of the classroom library. According to Northview Public Schools Superintendent Mike Paskewicz, “generally, with a book like this — because we know there are controversial passages in it — we generally have conferences with the kids… We missed that step in this instance.” Without consultation, the student took the book home, where the student’s parents discovered it and became upset by the book’s explicit content. In light of the parental complaint, the book was submitted for review — Paskewicz himself read a copy — and on October 30, it was determined that due to the book’s graphic nature it would not be included in seventh-grade classroom libraries or offered as an option for seventh-grade elective reading. This being said, though, Paskewicz appreciates the positive impact that the book can have for those who themselves might be victims of abuse: “In Northview, we have some students who have very awful circumstances in life and this [book] may be of help to them.” As such, the book will continue to be included in Northview Public High School classroom libraries and will be available for eighth-grade elective reading on a case-by-case base and after consultation with the student’s parents.